After an extremely dry year, in 2018, that resulted in critically low underground water levels and extreme air pollution, this week’s snowfall was welcomed widely by city residents. The heavy snowfall through Wednesday and into Thursday was the fourth for Kabul this winter and saw temperatures drop to -7C. Residents on Thursday woke to a city shrouded in white, and as snow continued to fall early in the morning, a sense of calm descended on the capital – home to an estimated six million people. Adults and children both made the most of the weather and could be seen building snowmen, having snowball fights and taking selfies. Light-hearted, happy images were splashed across social media by thousands of residents – for once the worries of the war forgotten. Although the amount of snow and low temperatures are not a patch on what parts of the US and Canada are experiencing with the current polar vortex, Kabul residents said the weather had definitely improved air quality and would result in a rise in the underground water levels. 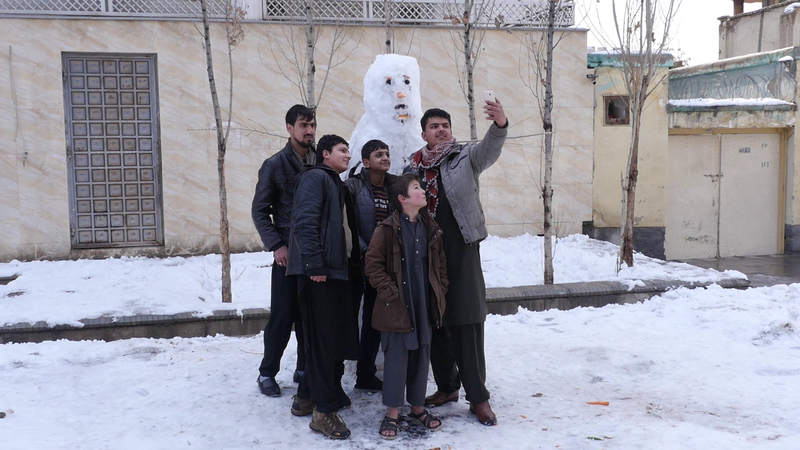 “I am very excited as all my friends are together and we are enjoying the snow,” said Noor Ahmad, a Kabul resident. Many older residents recalled winters in the past – which according to them witnessed as much as a meter of snow at a time. Never-the-less an average of about 15cm was recorded in the city over the past 24 hours. One Afghan government official laughingly said they had concocted their own “snowshakes”. “I have heard from our elders that children liked to have snow mixed with sugar and milk. We did the same today,” said Rukhsar, a government official. Restaurant owners also welcomed the weather and said the snow and cold weather had driven customers into their establishments. According to them, customers wanted traditional winter dishes such as Kala Pacha, Landi Palaw and Chainaki. “We prepare Afghan dishes here which are mostly for winter. 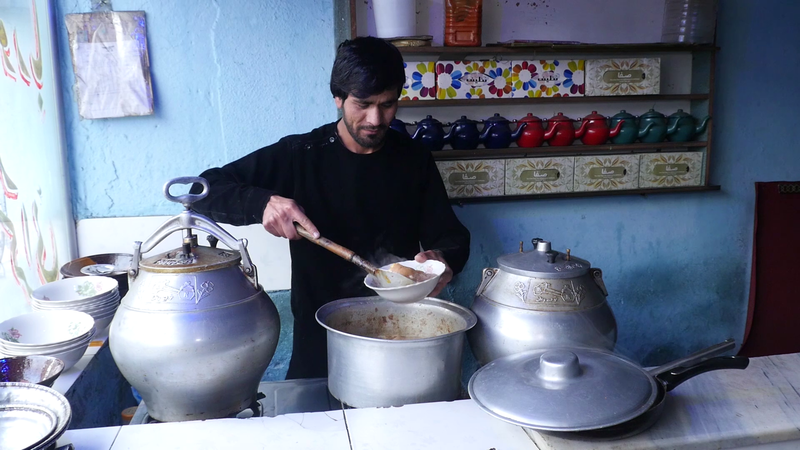 Kala Pacha has more customers in winter,” said Farid, a cook at a Kabul restaurant. The welcome weather comes after a report released by an American institution in December listed Afghanistan as one of the ten most polluted cities in the world. Unlike other polluted cities, the air pollution in Kabul is largely seasonal as residents burn low-quality fuel to keep warm when the temperatures drop. Air pollution in Kabul is seen by many as a serious threat, similar to the threat posed by insurgency, as both put people’s lives in danger, residents and experts have said. Kabul residents said people need to take action to improve the city’s air quality. One expert said people should wear facemasks, wash their hands and face with soap and warm water after returning home and try to reduce the use of low-quality fuel. Lighthearted fun was had around the city on Thursday following a fairly heavy snowfall overnight.